providing a high profile for flying and a beautiful finish for indoor display. Handwavers and Bunting are great for that special occasion. all made to Australian specifications. 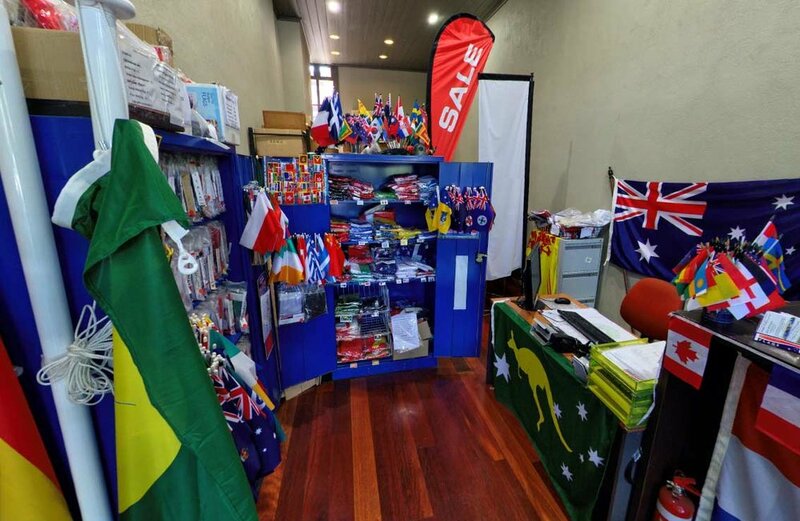 Talk to a salesperson about your specific flag needs, browse the stock, and order custom items. Can't visit the store? Browse our stocklist online, and have it delivered to your door!